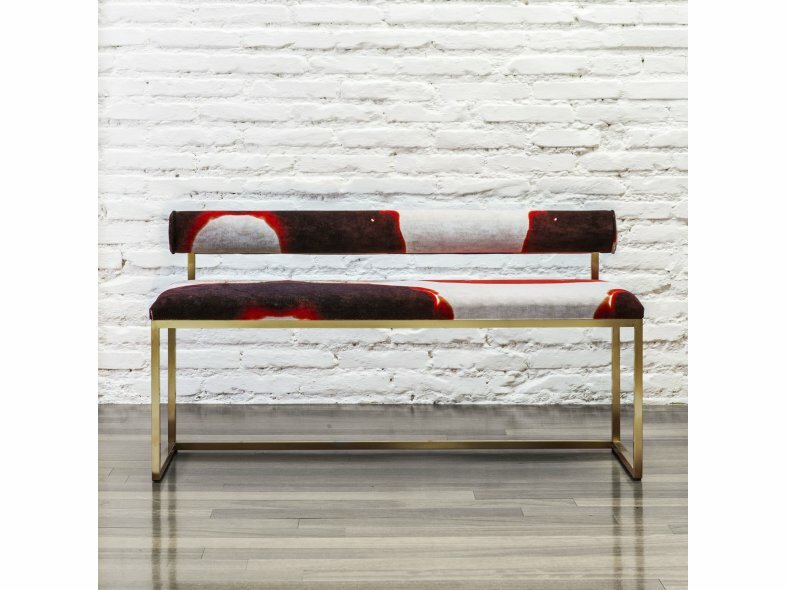 This luxurious hand-made long bench features a back rest stretching the entire length of the piece. The soft cushions of the seat and back are wrapped in a soft high quality silk velvet and printed cotton. The patterns on the fabric are original works by artist Coralla Maiuri, and they can be customized with various different designs by the same artist. 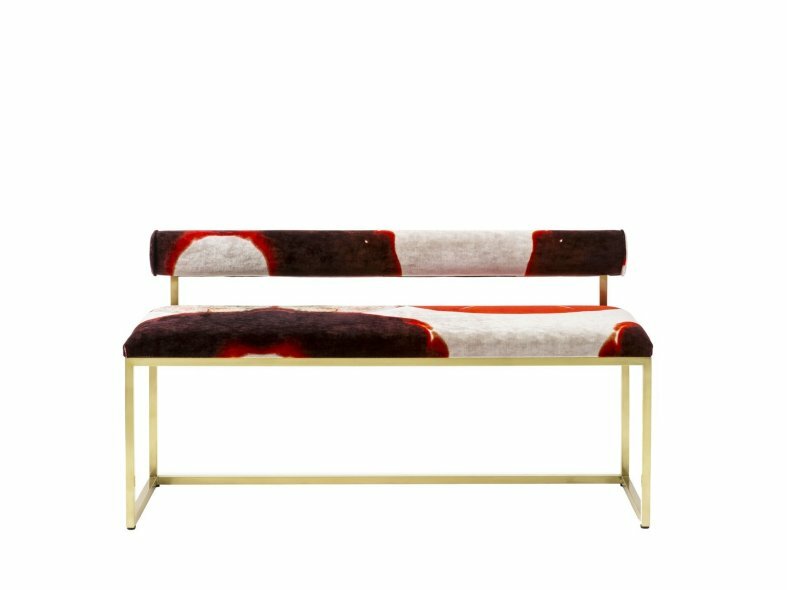 The colorful cushions sit atop a golden brass base in a minimalist style. This piece is part of a limited edition of 9 pieces and 3 artists proofs.